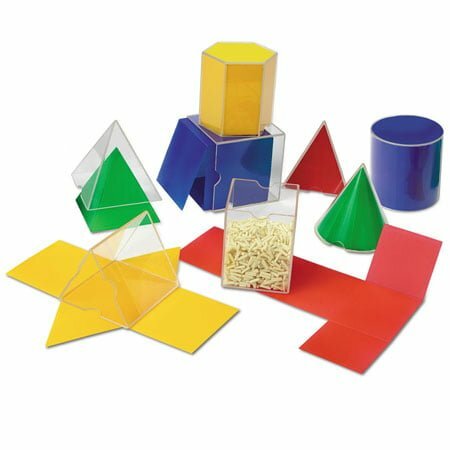 This innovative folding geometric shape set is perfect for hands-on lessons in symmetry, perimeter, area, surface area and volume. Each three-inch shape folds flat, allowing for illustration of a three-dimensional shape’s two-dimensional properties. Edges are all rounded for safety.